MANASSAS, VA—40 years ago, four men bought an airplane with the intention of flying religious and humanitarian leaders to conferences and events, but that plan eventually morphed into a charity service that flies patients in need of medical treatment but don’t have the means to get to where it is. Today, while the owners of the plane, the pilots, and passengers may be different, that missions continues. 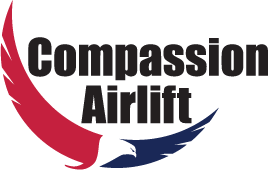 The name on tail of the aircraft, a Beechcraft Bonanza, now carries the logo for Compassion Airlift, but has flown under different names in the past. “It’s making a big difference in people’s lives, it’s what we all do,” said Jeff Douglas, a pilot with the organization for the past 25 years. Chief Pilot and Director of Operations Bob McCamish said when the plane was purchased in 1977, along with its initial purpose of flying religious and humanitarian leaders, the plane was used occasionally to transport a patient. But he said a watershed moment happened in 1983. McCamish said they realized there was a need for this kind of service and replaced that old army cot with an approved medical stretcher and eventually became the charity known as Mercy Medical Airlift, which included over 20 charities at its peak. McCamish said the Bonanza itself has flown around 2,500 patients through 39 states. But said that financial troubles hit the parent organization in 2015, leading to it cancelling the lease for the airplane. McCamish said the group is in the process of applying for 501(c)(3) status.